The perfect partner for underfloor heating, Ultraflo® is a unique hemihydrate liquid floor screed, tried and tested by thousands of satisfied customers throughout Northern Ireland, Ireland and the Isle of Man.  Ultraflo® is a unique hemihydrate calcium sulphate liquid floor screed designed to be used with underfloor heating. The product guarantees minimal shrinkage and cracking, improved heat responsiveness with underfloor heating, reduced heat lag delay, reduced energy costs and is eco-friendly. Due to its hemihydrate formulation, Ultraflo® self-levelling liquid floor screed does not suffer from surface laitance (a scum/dust of material adhering to the top of the screed during the curing process) unlike other liquid floor screeds on the market. This unique advantage means Ultraflo® requires no buffing/grinding to the floor surface prior to the application of floor finishes. Under good drying conditions of 20°C and 65% relative humidity, Ultraflo® hemihydrate liquid floor screed laid at 40mm will dry in 40 days. It will dry at 1mm per day for first 40mm then 1/2mm per day for each mm of additional depth. For example 50mm screed will dry in 60 days.With the use of under floor heating, a 50mm Ultraflo® hemihydrate liquid floor screed can be force dried in less than a month. Whether your project is a conversion, renovation, extension or a new self-build, we aim to make the process simple. Right from design to the finished floor. Full Technical and Site Support is available at all stages of the screeding process and RTU provides a Supply and Fit service using only approved layers. Not subject to surface laitance (a scum/dust of material adhering to the top of the screed during the curing process.) This unique benefit means Ultraflo® requires no buffing/grinding to the floor surface prior to application of floor finishes unlike other liquid floor screeds. Minimal drying shrinkage or curling, meaning substantial reduction of movement joints compared to sand:cement screed. Fast heat response times resulting in greater thermal efficiency when used with underfloor heating. Reduced laying depths, weights and drying times (as little as 30mm required). Quality controlled mix for consistency. RTU supply Ultraflo® hemihydrate liquid floor screed for the new Omagh Baptist Church. The Lynn Building was refurbished to create a Graduate School within the main grounds of the QUB site. The restoration included the installation of Ultraflo® and underfloor heating. This beautiful architect designed home in Omagh has used Ultraflo® in conjunction with underfloor heating throughout the entire property.